Living in Raleigh, NC | Five Best Places in the U.S.
Year after year, Raleigh, NC ranks among the five best places in the country to live and work. With moderate weather (71°F Avg temp), it’s only two hours from the beach and three hours from the mountains. Raleigh is both welcoming to families and individuals alike and is proud of its well-educated workforce and multi-cultural environment. NC State’s Talley Student Union is teaming with vibrant art, natural light, comfortable furniture and amazing views. It provides you with a place to experience out strong campus community. But there’s more! A sense of community is often built over a cup of coffee or scoop of ice cream! Many of the dining venues double as lounges to maximize flexibility and provide study space in off-peak hours. From fireplace lounges to individual and group lounges overlooking the Thomas H. Stafford, Jr Commons, and everything in between, you’ll have a space to fit almost any need. NC State University anchors the Research Triangle Park (RTP), one of the country’s largest and most successful high-tech research parks. RTP is the home of many of the country’s leading Fortune 500 companies. There are many leading research and technology institutions only minutes away from the University. 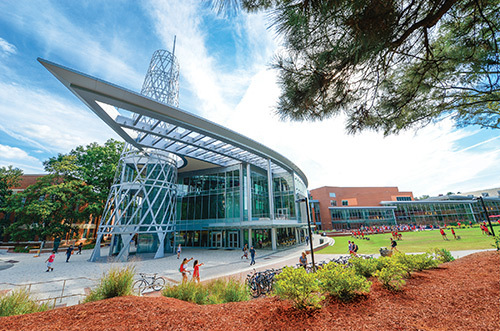 This creates a collaborative environment for both business and innovation with NC State. Higher education is the cornerstone of the RTP. The area’s colleges and universities have well over 100,000 students. Each year, these institutions award more than 20,000 degrees. It is these graduates who are a major contributor to the region’s high-performance workforce. 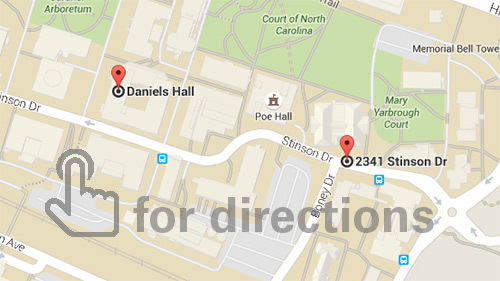 So when it comes to selecting a place to get your degree, you can have it all. Raleigh and the RTP are a great place to live, learn and work. The success of our faculty and students shows the College’s commitment to excellence. Each year, faculty members receive many professional awards for their teaching and technological achievements. Our graduates find top-notch careers in research and development, design, production, and management. Many of our 57,700 alumni hold leadership positions in organizations around the world. Students who choose the College of Engineering at NC State for their education choose success.